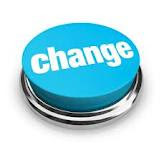 Looking at the rapid changing environment in which associations operate, what are you doing to prepare your association, your board and your staff for the changes you need to make? Apple, the Post Office & Associations: Where Do Associations Go from Here? Are association (and governmental) boards too big? What’s Your Association’s ROI for Resources Allocated to Conventions/Meetings?